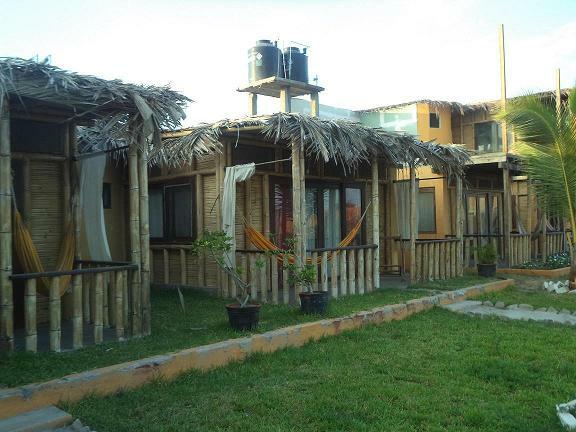 Punta Pacífico is a synonim of relaxation, peace and good service located in the most popular Peruvian Beach, visited by nacional and International tourists, Mancora, in the north of the country. 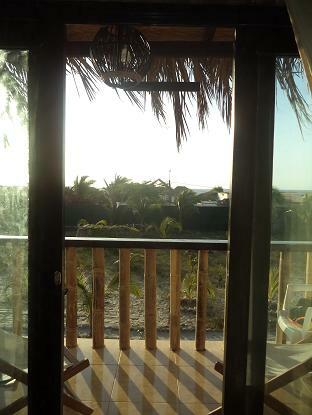 Thanks to this, we can offer our guests the privacy they expect and at reasonable prices. 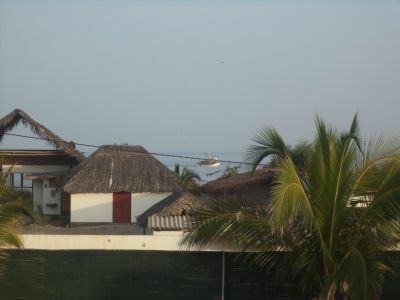 We have 4 bungalows and April 1, 2004 we opened our other marriage bungalow, called "Suite Delfín" on the second floor overlooking the ocean. 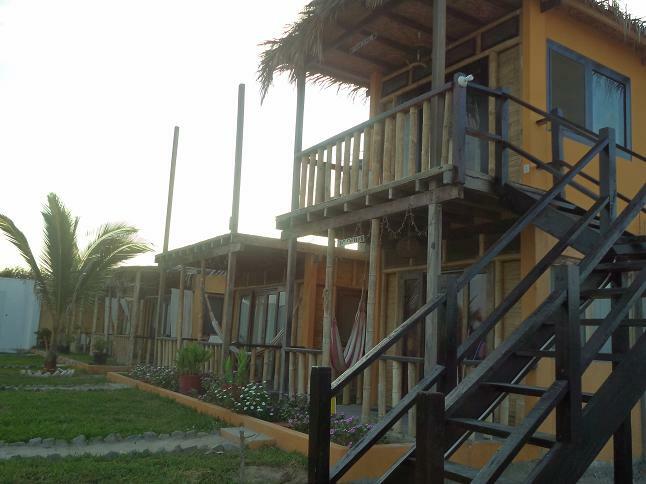 The first, called "Estrella de Mar" which consists of two cabins (4 beds), a double bed, balcony and a private bathroom. 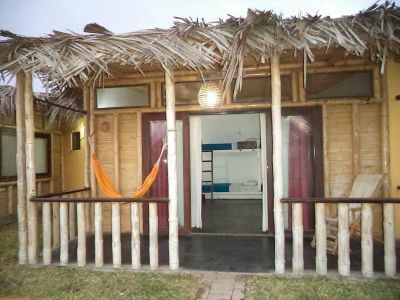 The third bungalow called "Caballito de Mar", for 5 people, with a double bed, a single bed (and half square) and a cabin for two beds. 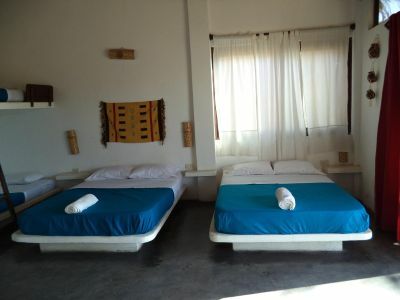 The fourth bungalow called "Caracolito" (marriage) is the most spacious, has a double bed and the possibility of an extra bed. 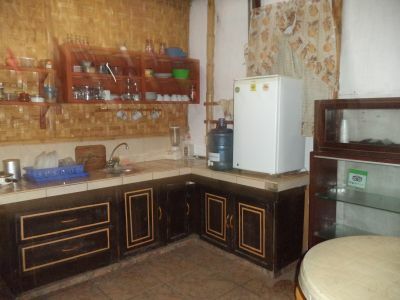 It also has a living room, with your carpet, coffee table. 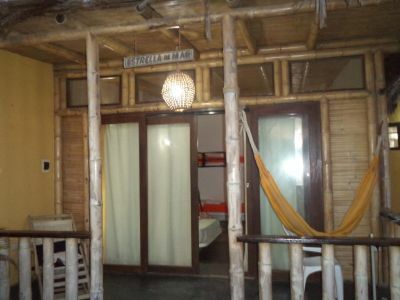 Seats are rustic, woven straw with their cushions and pillows. 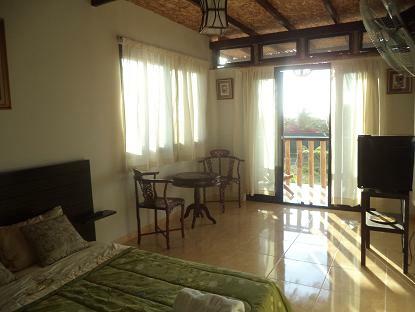 The fifth bungalow called "Suite Delfín" is the most elegant and with view to the sea. The entrance is private. 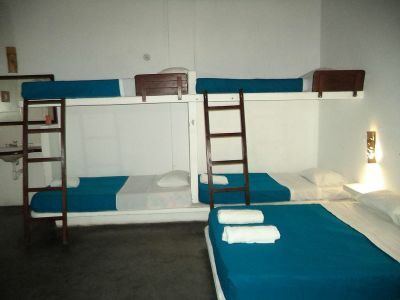 It has a double bed (matrimonial) with possibility of two extra beds. 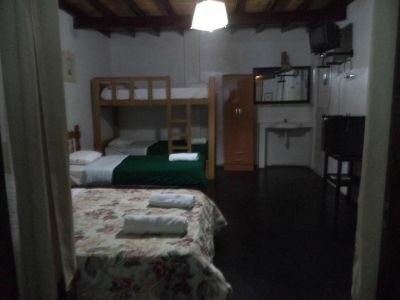 Has a private bathroom with shower and hot water. 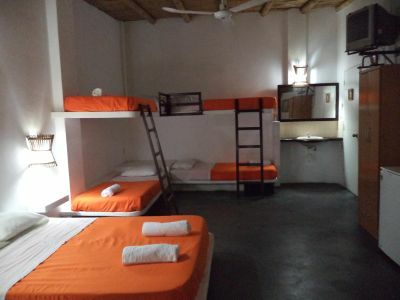 Also, a wall fun, 24-inch plasma tv, safe-deposit box, Wi-Fi throughout the bungalow, minibar in room, bathroom accesories, sheets and towels and a living room with two chairs and one table with good old finishes. 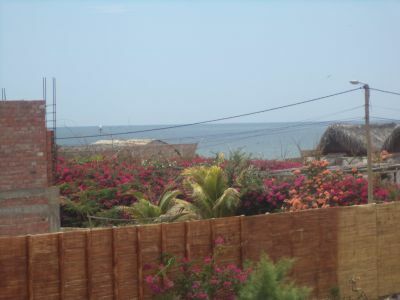 A beautiful terrace where you can sit and sea the sea. 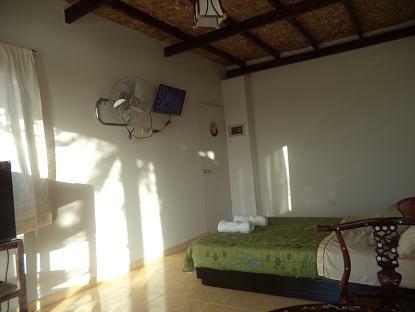 The bathrooms in all bungalows have good finishes and the area is quite fresh and wide. 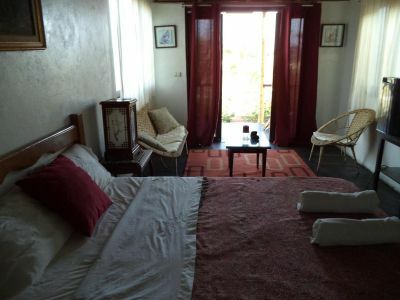 Also, all bungalows, with its terrace overlooking the garden, with a hammock and a "lazy" chair. The area is very well-aired and fresh. The bathrooms are well finished. 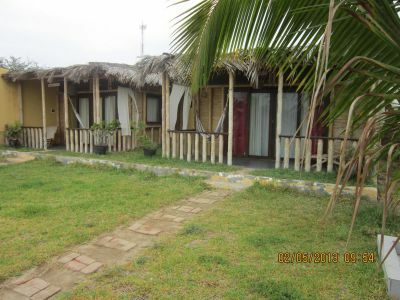 All bungallows have satellite TV and there is electricity and hot water all day long. 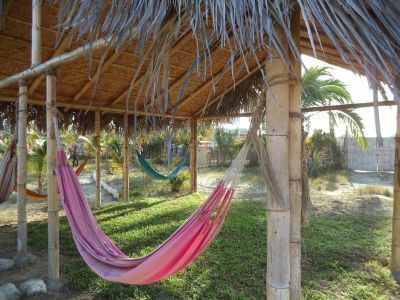 The place is quite private, with a gazebo with hammocks, umbrellas and a nice tropical garden with palm trees and space to light a fire. There is permanent security. 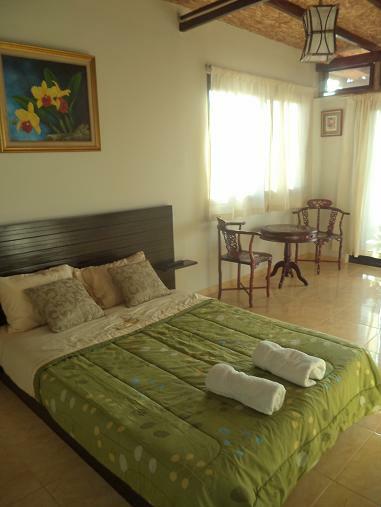 The cost includes a continental breakfast and we have kitchenette if you want cooking. We have Wi-Fi, which worked all day and has good signal in the entire hotel and is free. 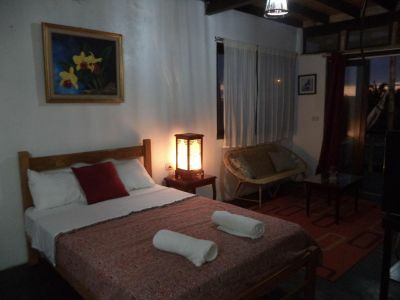 Therefore, with the best details, “Punta Pacífico” provides lodging in a suitable and ample space where you can enjoy the best sunsets, surrounded by gardens. 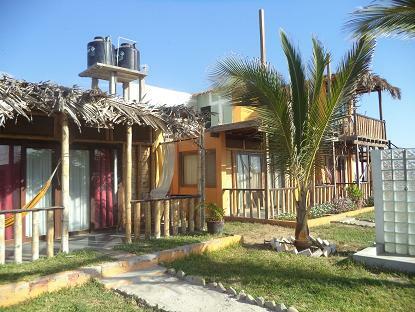 Come and visit us in “Punta Pacífico”, the place to relax. We accept credit cards ("Visa" card). 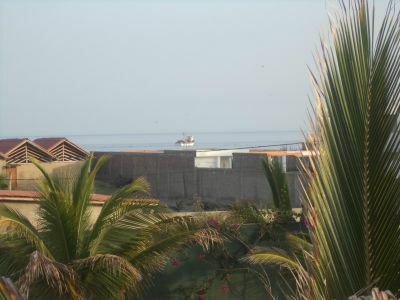 View from the terrace "Suite Delfín"